When you’re looking for the best vacation destinations in Europe, the biggest problem is often narrowing down which exclusive resorts can fit into your schedule. So many of the world’s best travel destinations are in Europe that planning your vacation is often as much about what to (regrettably) leave out as they are about where you end up staying. While by no means exhaustive, here are a few of the best travel destinations in Europe. Each of these cities offers a number of exclusive resorts, and all should be on your short list of must-see places in Europe. Paris. If you only go to Europe once, go to Paris. The Louvre, L’Arch de Triomphe, the Eiffel Tower, Notre Dame Cathedral. Paris has more iconic landmarks than anywhere else on earth. Enjoying the finest French wines and the luxurious lifestyle is as natural as breathing here. Paris is recognized by luxury travelers worldwide as one of the world’s best travel destinations, a perfect vacation for lovers. Athens.Go for the rich history and culture, stay for the exclusive resorts. Athens affords the luxury traveler all of the accommodations you expect within easy distance of the Acropolis and dozens of other ancient historical landmarks. The birthplace of democracy, no trip to Europe is complete without visiting Greece, and nowhere can you experience Greece like Athens. Barcelona.The jewel of Spain, Barcelona offers a cultural experience like none other on the Continent. A colorful mixture of Catalan and Spanish influences converges in the city’s architecture, customs, and cuisine, making Barcelona one of the best travel destinations in Europe. There are several exclusive resorts, museums, castles, and cathedrals, enough to keep any luxury traveler occupied. Hint: Don’t bother with the beaches, they’re not the best. Venice. If you only get one chance to go to Italy, skip Rome and go to Venice. There’s no place quite like it on earth. The easy pace of Venice is perfect for a relaxing getaway, and its exclusive resorts will please the most discerning luxury traveler. 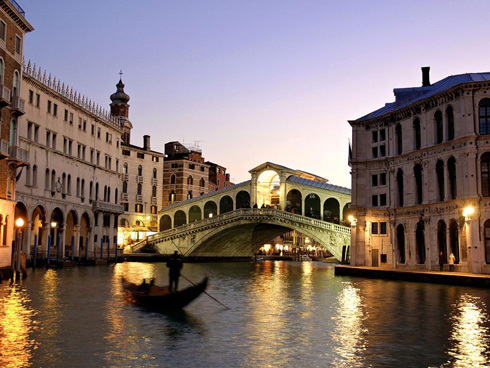 Make sure to take a gondola ride down one of the city’s many canals. But don’t make the mistake of thinking that’s all there is to Venice. There are plenty of museums, shopping centers and more. Vienna.If you love music and culture, put Vienna at the top of your list. Everyone is familiar with Vienna’s classical music and opera, but the best art and music of all genres can be found here. Add to that magnificent architecture, ease of travel to Slovakia, the Czech Republic, and Hungary, and its location nestled in the Alps, and you’ll have to agree that Vienna is one of the best travel destinations in Europe. Budapest. This location might have you asking, Really? Budapest? Yes, and here’s why: Budapest offers exclusive resorts and intriguing travel and sightseeing opportunities, but it hasn’t yet caught on as a luxury travel destination. You get to enjoy a truly European experience without being mobbed by other tourists, yet you can still find luxurious accommodations. If you go, you’ll see why it’s on the list. Allow us to be your personal Europe luxury travel concierge and make your travel experience a memorable one. Don’t Know How to Get VIP Tickets for that Red Carpet Event? We Do. Looking for the Best Luxury Products?